Peter Orner, a CWW Granada 2015 fiction faculty member, writes about finding love and losing love and how even the most potent memories can vanish and change with the passage of time. In his recent New York Times “Modern Love” column, “We Were In Our 20’s and Didn’t Have A Clue,” Orner looks back at a brief, passionate relationship he had in his 20’s in order to examine, “…the way people edit the details of their lives.” Orner shows how even though the passion and the heartbreak might fade, the instinct to reclaim these emotions and revisit the past never does. Time is the true subject of Orner’s essay; how it expands and contracts, how it has the ability to turn a happy memory into a sad one. M. loved poets, wrote poetry, sometimes wrote me poems, and his favorite poets all seemed to have met violent or tragic deaths, including Lorca. The day we visited Lorca’s house in Granada, we found the whole of it kept much as it was when he was there. I noticed the roses in the vases were almost gone, ready to be replaced, while roses bloomed outside. I imagined the poet had planted them, or at least tended them, but I didn’t want to ask in case it wasn’t true. I can still see the shrug as the tour guide said, “Yes, he was the son of a wealthy man,” a detail I wrote down in my notebook, along with how we all then looked at the beautiful wooden desk that seemed like a boat. I didn’t know why the guide said that and still don’t. Just as I don’t know why a book of his poems on the desk that day was open to “Poet in New York” — his other city. Lorca’s murder had made him Granada’s presiding ghost. If his body had vanished at the hands of fascist murderers, he was everywhere there now, his face and words on mugs, T-shirts, restaurant menus and graffiti nearly anywhere you looked. M.’s days at the school began early and were long, and left to my own devices, I would write for a few hours and then walk through the side streets, where I mapped the ancient cathedrals, most of which had been mosques before the expulsion of the Muslims, and then had the traditional breakfast of bread with tomate, a fresh tomato purée on toast, and olive oil. In Granada, there are usually two kinds of olive oil on the tables to put on, it seemed, anything you ate, but especially for this. Read Alexander Chee’s full essay on his summer spent writing in Granada here. The Cambridge Writers’ Workshop Summer in Granada Writing Retreat will take place from August 2-6, 2017. Located at the foot of the Sierra Nevada mountains in Andalucía, Granada is one of the gems of Spain and has inspired writers from Washington Irving to Salman Rushdie to Ali Smith. Let the old city stimulate your writing with its winding streets, Moorish history, and evocative landscapes. Work on your existing manuscript, or look to the beauty and warmth of Granada to inspire all-new projects. During the retreat, we will be staying at the Hotel Guadalupe, just a short walk from the Alhambra. The retreat offers multi-genre workshops, as well as craft seminars and time to write. The faculty includes award-winning writers Tim Horvath, Alexandria Marzano-Lesnevich, Rita Banerjee, and Diana Norma Szokolyai. Genres include fiction, nonfiction, and poetry. The cost of the retreat is $2950, which includes tuition, lodging, and daily breakfast. Apply at cww.submittable.com by May 1, 2015! In War is Beautiful: The New York Times Pictorial Guide to the Glamour of Armed Conflict, bestseller David Shields critiques over a decade of “extraordinarily beautiful and. . .little war-like” war images. The book contains 64 full-color photographs featured on the cover of the Times between 2001 and 2013. During the interview, Shields states, “The book is meant to be problematically beautiful. I mean to ask of myself and my fellow citizens and fellow readers how much beauty are we prepared to swallow in the name of glorifying war.” Watch the interview in its entirety visit PBS/KCTS 9. 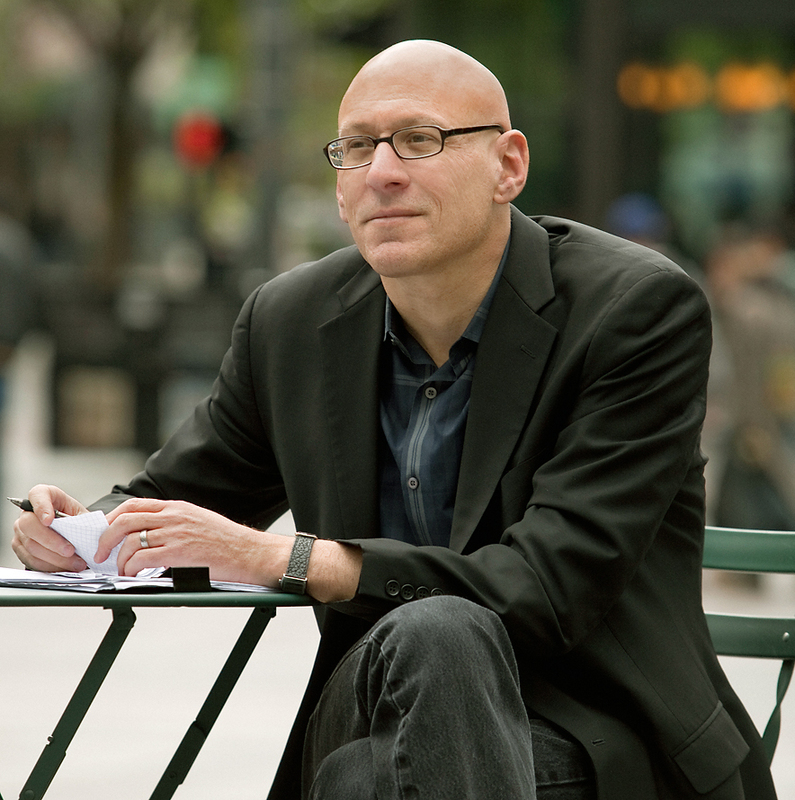 David Shields is the internationally bestselling author of twenty books, including Reality Hunger (named one of the best books of 2010 by more than thirty publications), The Thing About Life Is That One Day You’ll Be Dead (New York Times bestseller), and Black Planet (finalist for the National Book Critics Circle Award). Forthcoming from Knopf in February 2017 is Other People: Takes & Mistakes. The recipient of Guggenheim and NEA fellowships, Shields has published essays and stories in the New York Times Magazine, Harper’s, Esquire, Yale Review, Village Voice, Salon, Slate, McSweeney’s, and Believer. His work has been translated into twenty languages. He is teaching at the Cambridge Writers’ Workshop Summer in Barcelona and South of France (July 18-26, 2016) and Summer in Granada (July 28 – August 5, 2016) Writing Retreats. Earlier this month, I sat down with David Shields to interview him about his new book, War Is Beautiful: The New York Times Pictorial Guide to the Glamour of Armed Conflict (powerHouse Books 2015). During our conversation, Shields spoke about the New York Times’s use of sanitized, sensually inviting front-page photography to glamorize the wars in Afghanistan and Iraq; these photos—in Shields’s view—desensitize readers to the cruelty and violence of these wars. David Shields is the author of international bestsellers and critically acclaimed books, including The Thing About Life Is That One Day You’ll Be Dead (Knopf 2008), Black Planet (Three Rivers Press 2009), and Reality Hunger: A Manifesto (Knopf 2010), which argued for the obliteration of the distinction between fiction and nonfiction, the overturning of laws regarding appropriation, and the creation of new forms for a new century. Over the past several years, Shields’s work has become increasingly political. Rita Banerjee: The images of war in the book are very provocative. For example, in the Nature section, in the photo where you’re looking at a beautiful field of flowers and then you see the helmet of a soldier, it’s shocking. It grabs you. And even in the “Paintings” section, many of the images are so aesthetically inviting. David Shields: They look like Abstract Expressionist paintings. They might as well have been painted by Rothko or Pollock. RB: Reading War is Beautiful, you realize how cleaned up American media is. It’s weirdly Puritan, weirdly sanitized. DS: It’s quite striking how this process happened over the last couple of decades. First of all, the rise of digital culture so that a picture could be sent instantaneously from the battlefield to the Times. Second of all, the advent of color photography on page A1 (starting in October 1997). In the book’s afterword, Dave Hickey points out how serious and great war photography was from Mathew Brady in the Civil War all the way through Robert Capa during World War II and, say, Tim Page in Vietnam. And basically what happened during World War II was the rise of something he calls the “swipe photograph”—the quick photograph that conveys a quick, blurry image; for example, Capa, with his famous picture of a fallen Spanish soldier during the Spanish Civil War. And then what Hickey argues is that with the rise of Abstract Expressionism, people like Diebenkorn, Rothko, Pollock, Gerhard Richter, the swipe image became a huge part of Abstract Expressionism. And now war photographs are not based on what the war photographer is actually seeing in war. Rather, he or she is trying to reproduce Abstract Expressionist tropes—swipe-image gorgeousness. All of these pictures from the New York Times are remarkably hollow and bloodless, composed, and abstract. All of these photographs have come, to a staggering degree, from art history. These pictures are beautiful but dead. RB: I was really struck by your commentary in the beginning of War Is Beautiful. You raise the point, Is the Times complicit in selling a certain kind of narrative to the United States? That is, the Times promotes its institutional power as a protector or curator of a death-dealing democracy. Who is responsible for it? We all are. We are all inscribed in that death-dealing democracy. Maybe that’s why we’re so accepting of capitalism as well. We don’t see the devastation. If people are dying of chemical poisoning in an Apple factory in China, how much do we care? The same with Iraq or Afghanistan. As Americans, we’re so used to the idea of distance. When the political world is distant from us, not only are we desensitized and numb to it but it’s almost as if we’re watching cinema or playing in a video game; there’s even a certain aspect of pleasure in a weird way. We have power and yet we’re at such a great distance from what’s going on and what’s going down. DS: I try to make this emphatically clear via the book’s opening epigraph from Edmund Burke: “When danger or pain press too nearly, they are incapable of giving any delight, and are simply terrible; but at certain distances and with certain modifications, they may be, and they are delightful, as we every day experience. The cause of this I shall endeavour to investigate further.” Capitalism, distance, aesthetic pleasure, drone voyeurism are all part of one complicated cocktail. You’ve summarized it very well; it’s clearly capital that’s driving all this. We take pleasure in the privileged distance that capitalism buys. Read the rest of the interview on Electric Literature. Peter Mountford’s second novel, The Dismal Science (Tin House, 2014), was recently reviewed by The New York Times. We are proud to have had Peter read with us in Seattle in our A Night at the Victrola Reading. Since graduating from the University of Washington’s MFA program in 2006, Peter’s short fiction and essays have appeared in The Atlantic, Best New American Voices 2008, Conjunctions, Salon, Granta, ZYZZYVA, and Boston Review, where he won second place in the 2007 contest judged by George Saunders. He’s currently a writer-in-residence at the Richard Hugo House and at Seattle Arts and Lectures. Congratulations to Peter Mountford, a good friend of the Cambridge Writers’ Workshop and an excellent fiction and nonfiction writer, whose piece, “Life in the Group Room” was recently published in The New York Times Magazine. Peter Mountford originally read ‘”Life in the Group Room” at “A Night at the Victrola,” an AWP 2014 Reading sponsored by the Cambridge Writer’s Workshop. Thank you Peter, for sharing this brave and provocative piece with us! 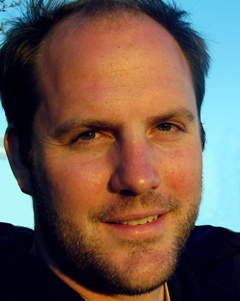 Peter Mountford’s debut novel, A Young Man’s Guide to Late Capitalism (Houghton Mifflin Harcourt), won the 2012 Washington State Book Award and was a finalist in the 2012 VCU Cabell First Novelist Prize. In its full-page review, The Seattle Times wrote: “Debut novels don’t come much savvier, punchier, or more entertaining…the work of an extraordinary talent.” His second novel, The Dismal Science, was published in early 2014 by Tin House Books. For his work on The Dismal Science, he was awarded a 4Culture Grant, a grant from the city of Seattle, and the Corporation of Yaddo’s Wallace Fellowship for a Distinguished Writer. Since graduating from the University of Washington’s MFA program in 2006, Peter’s short fiction and essays have appeared in The Atlantic, Best New American Voices 2008, Conjunctions, Salon, Granta, ZYZZYVA, and Boston Review, where he won second place in the 2007 contest judged by George Saunders. He’s currently a writer-in-residence at the Richard Hugo House and at Seattle Arts and Lectures. Peter grew up in Washington, DC, apart from three years in Sri Lanka during the early stages of the Sri Lankan civil war.